New Delhi, March 19: A day after Congress's Delhi President Sheila Dikshit wrote to party's national president Rahul Gandhi to spell out its stand on a proposed alliance with Aam Aadmi Party (AAP), senior Congress leader and party's Delhi in-charge PC Chacko said a majority of leaders have favoured a tie-up with AAP. 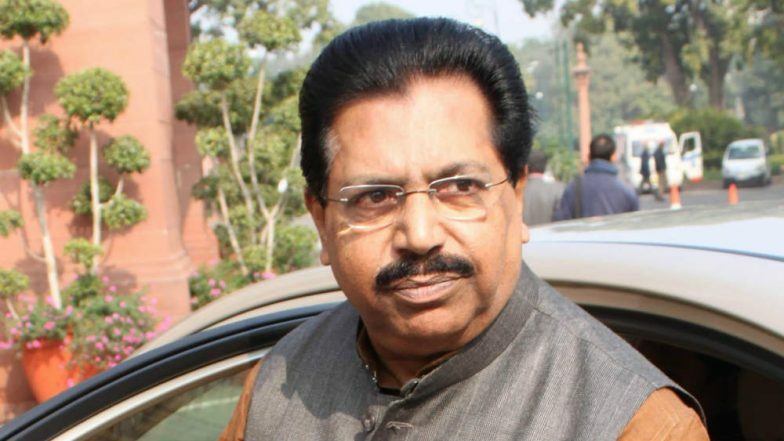 Chacko said the leaders in Delhi must follow the policy of forging an alliance with anti-BJP parties as decided by Congress's working committee. "As far as I know there are senior leaders in Delhi who think that defeating BJP is party's immediate responsibility; for it, we should form an alliance with AAP. That's the thinking of a majority of leaders," Chacko told news agency ANI. The senior leader said Congress President Rahul Gandhi will soon take a call on tying up with AAP in Delhi for the April-May Lok Sabha elections. Gandhi had said that the Delhi unit of the party was opposed to the idea. Sheila Dikshit Writes to Rahul, Sonia; Says Coalition with AAP Will 'harm' Congress in Long Run. "Our president Rahul Gandhi will take a decision in few days time and the policy of our party as decided by working committee is to go for an alliance with the parties who are opposed to BJP. I hope Delhi leaders will also follow this policy decision of the Congress," Chacko said. On Monday, the AAP said it had waited long "enough" for the Congress and now there was no question of taking back its candidates for the Lok Sabha elections. "We waited enough for the Congress but there was no formal communication from them. With the election so close, we cannot waste our time. We don't want to spend even single second thinking about the alliance now. We've announced our last candidate for Delhi and now there is no possibility that we will roll back any of our candidates. All our seven candidates will contest," senior AAP leader Gopal Rai told IANS. The AAP on Sunday named its candidates for all the seven seats in Delhi. Last week, Dikshit, after meeting the Congress president, had declared that there was unanimity among party leaders with regards to an alliance with AAP in Delhi. Following the announcement, AAP president and Delhi Chief Minister Arvind Kejriwal had said there are "rumours" that the Congress has a "secret understanding" with the BJP and asserted that his party is ready to fight the "unholy alliance."